In this series, the food writer, wine lover and cookbook obsessive Kristin Donnelly test-drives the most fun and inspiring new books that come across her desk. 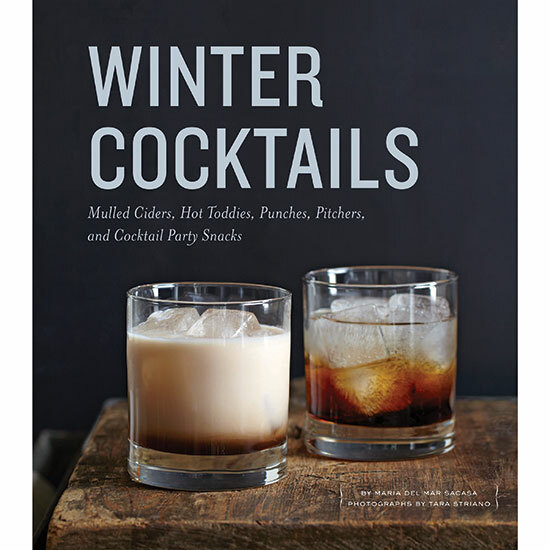 This week, Winter Cocktails, by Maria del Mar Sacasa. In this series, the food writer, wine lover and cookbook obsessive Kristin Donnelly test-drives the most fun and inspiring new books that come across her desk. Best for: People who love to entertain in winter. Cocktail books have gotten a little geeky lately. They’re what I pull off the shelf when I want to know the history of a drink, or have the budget and wherewithal to chase down five different specialty liqueurs. But Winter Cocktails, by food stylist Maria del Mar Sacasa, is a total crowd-pleaser, with most recipes calling for one or two spirits. All of those drinks that new-school bartenders turn their noses up at—the White Russian, the Brandy Alexander—they’re in here. As is plenty of amaretto—Sacasa uses it to spike chai tea and sweeten a Champagne-and-bourbon punch. But she does things the right way, making her own sour mix to add to sangria and juicing fresh pineapple for a bacon-infused bourbon drink (garnished with candied bacon!). Many of the drinks lean sweet, but they’re also balanced: Her Butterscotch Eggnog, for example, might sound cloying, but she makes it with a super-dark caramel, plenty of bourbon and a pinch of salt. A lot of the drinks are so appealing and evocative (as are the clean, modern photos by Tara Striano), they leave me fantasizing about how I’d serve them. The Orchard Fête—a rosemary–infused cider punch spiked with applejack? Sounds perfect after a hayride. The Nutella Melt—a boozy, hazelnutty hot chocolate? The new go-to for après ski.